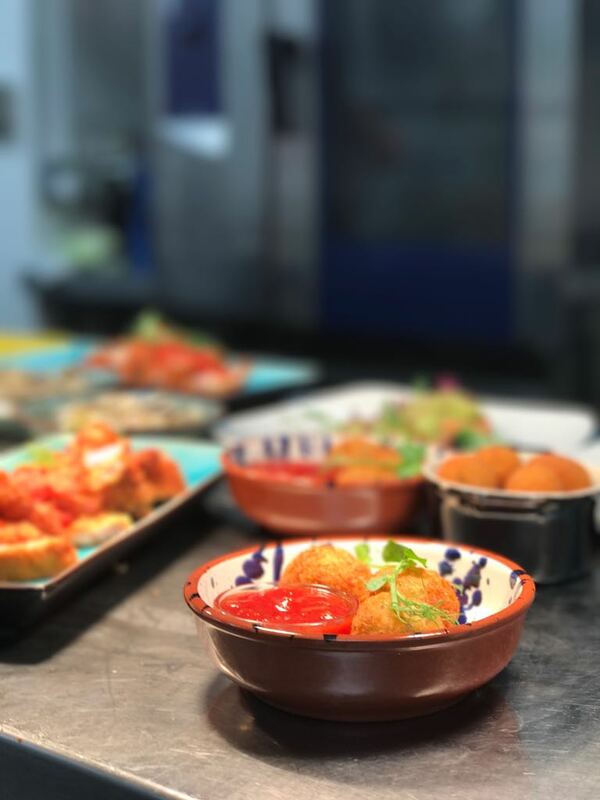 Using the very best produce from local suppliers, seasonal specials feature on a diverse menu alongside British classics, fresh salads and a choice of creative vegetarian dishes. For the more indulgent, we have a tailored wine list as well as a selection of tempting cakes to accompany morning coffee or afternoon tea. 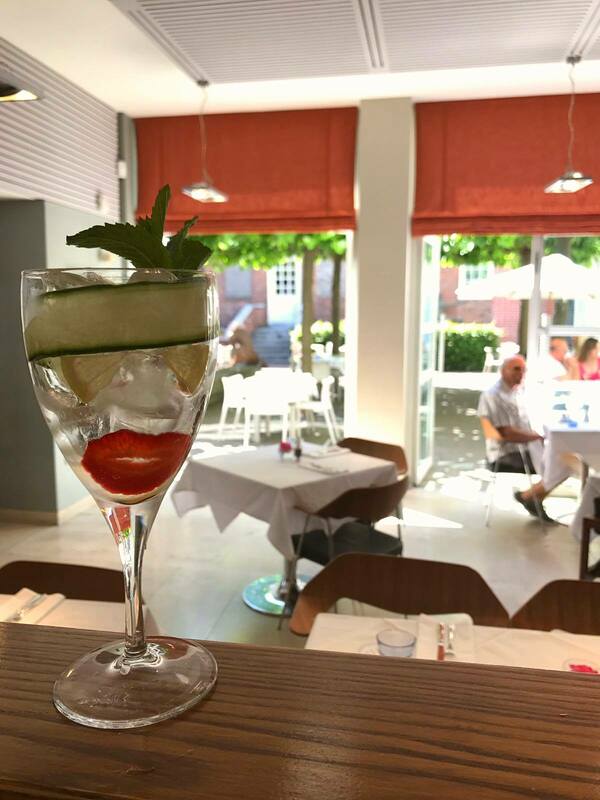 You can enjoy our café offer from the Garden Gallery or dine in our exclusive restaurant. 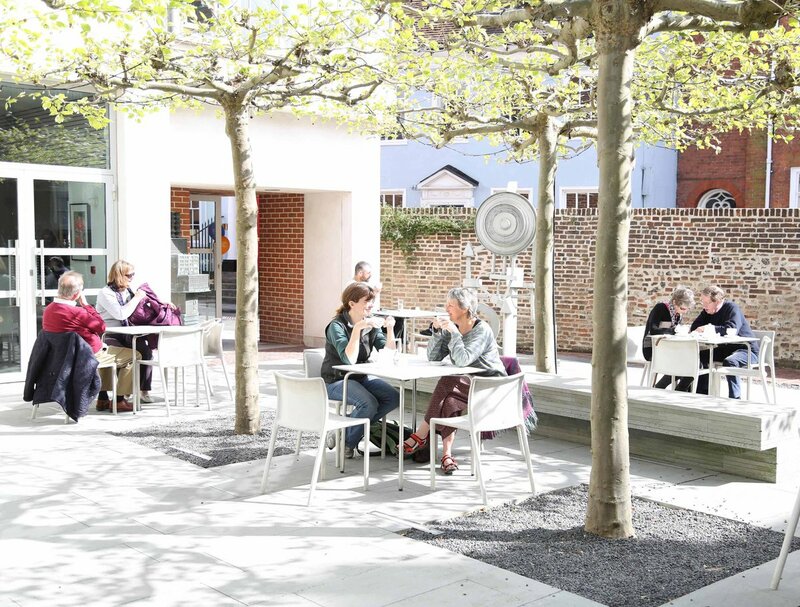 The Gallery’s tranquil walled courtyard, featuring displays of sculpture, offers a relaxed sunny spot with dappled shade to while away a few hours during summer months. At any time of the year diners are treated to a close-up view of the majestic Grade 1 listed townhouse. Very good food and just the right number of tables for size of the room. As ever an enjoyable experience. Good quality food but not as spectacular as I would expect for the price. Perhaps reduce your prices by about 25 percent? 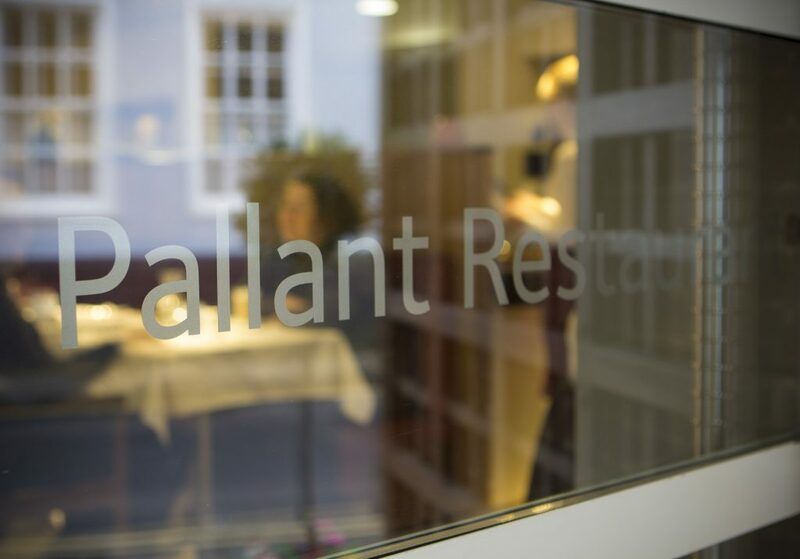 Superb food; another great evening at Pallant House- you never disappoint. We were a party of 6, we all loved the food. The wine was good, the waiter was charming and attentive. Faultless and not over priced. We will definitely be back. Thank you. Lovely museum and great food - well worth our day trip form London. 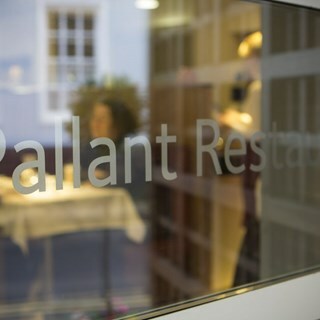 I booked Pallant Gallery restaurant as a private hire for my 40th birthday. It was an incredible evening. Charlie listened to everything I wanted and provided it brilliantly, making it very stress free for me. The staff on the night were all so friendly and efficient giving myself and all my guests a wonderful evening. I can’t recommend this place enough. Great food. Prompt service. Really enjoyed it. A perfect birthday lunch. Helpful staff provided an alternative vegetarian option for one of our party. Delicious food as always - thank you. Unpretentious, friendly and excellent value for money. Excellent food, service. Good value. 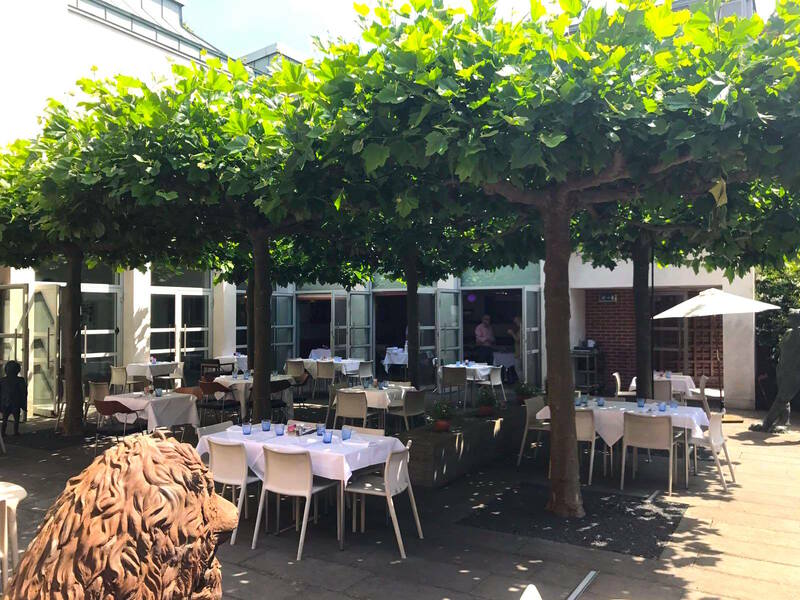 It was our second time at restaurant and wondered if as it was Christmas period it would have changed as a lot of places do but it was just as good. Lovely tender Roast Beef for Sunday lunch. Some of the best beef we have had, lots of flavour . Great food and really great staff! Visiting for the day from Dorchester, so unlikely to return in the near future - wished we lived closer as this was one of the best meals we have had in some time. Always a pleasure to eat here. Beautiful restaurant, lovely food and atmosphere. Friendly and helpful staff. Will definitely visit again. My friend and I only had one course (the same) each and wine but we both judged the fish dish  with accompanying vegetables delicious. Coffee good too. Great local restaurant, very tasty food and lively atmosphere. Couldn't even get a drinks menu for 10 minutes as they were all taken. Over 45 minutes for main course and too long to order. Short staffed apparently. Ghocchi stodgy and heavy and sauce too rich. I got a tough old bit of poorly trimmed calves liver. Olives were nice. Ice cream was nice. 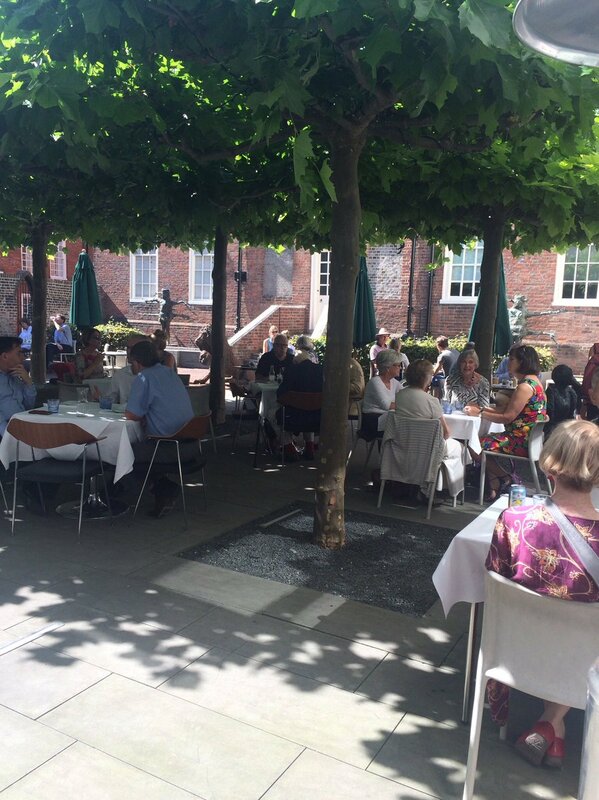 We enjoyed a superb lunch in the delightful surroundings of the Pallant Restaurant. Food and service second to none.